I'm posting this to let other freelancers know that giving a refund does not remove feedback from your Upwork profile, at least not at this time. I've learned this the hard way, having given a refund to a client who was basically harassing me. I contacted Upwork support before, during, and after the refund to ensure it was credited properly. I was assured reapetedly that, to quote one support center employee, "By system design, if there is no payment on a job, that includes full refund issued, the contract and feedback will not be shown on your profile." Of course, the system doesn't really work that way and now, two weeks later, the feedback is still on my profile. I've set my profile to private (because I don't think any potential client wants to read a nasty review, even with several other 5.0 ratings) and am effectively out of business on Upwork. There seems to be no rush from tech support to fix this and all have indicated that this is an ongoing issue, despite what the support agents are trained to tell us. So if you're planning on getting rid of a negative review by issuing a refund, think twice. It may not work, you'll cheat yourself, and Upwork doesn't really seem to care about the freelancer, so long as the client is happy. The whole exeprience has reminded me how unsustainable the Upwork model really is for freelancers. I'm posting this to let other freelancers know that giving a refund does not remove feedback from your Upwork profile, at least not at this time. Did you refund in full? As in every last Cent ever paid under the contract? In that case it should have removed the job from your history within a few days, although the imact on your JSS remains. Oh yes, it was a full refund. The issue is, according to Upwork, within their system. So they're going to fix it? In that case, it's not true that giving a (full) refund does not remove feedback. It does, it's just that in this case, there's a system glitch. You have a ticket with them for this? ETA: Sorry, now I see your answer. Michael, you weren't threatened/cooerced into giving this refund, were you? Did the client say (on UW in the messages area) that s/he would dock your feedback if you didn't refund? "some other user, experience this issue too, so you are not the only one affected." "Please be informed that our Engineering department is still fixing this issue. We still do not have the ETA on the available fix on this bug that is causing this problem. I am sorry for the inconvenience this has caused you. I will update you as soon as we have a response from our Engineering department about this matter. Thank you for your understanding." Yes, I was totally coerced. As soon as I accepted this contract (a whopping $60), the client messaged me that if I didn't complete the job in half the time we originally discussed, he was going to leave me nasty feedback. I have saved the messages. If you have been coerced in any way, send that information on a ticket to CS so that Upwork can take action on the matter. 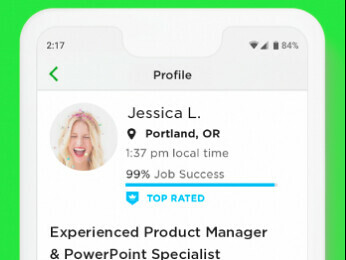 Did the messages go through the Upwork messaging? We hope that a mod appears that can help you with this. Was it a 100% refund? If you didn't refund all the money the feedback will still show up. You're right. It's kind of a loss for the freelancer from all angles. You get rid of the worded feedback, sure, but it still counts against your JSS, you have helped train a client to get free work by demanding refunds, you're out the money, and if you only give a partial refund the feedback will still show. It's not really kosher from the freelancer's end either, however, as it means the freelancer is trying to get out of clients knowing another client was dissatisfied. 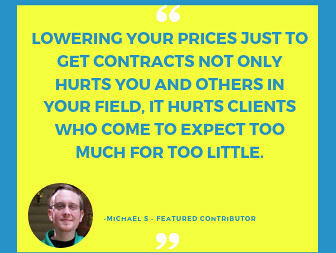 There is really no upside except for the shadier client side of UW, who figures out very quickly how to get free work without any repercussions. Just don't do it in the future. I'm really sorry this happened to you. Thanks, Melanie. Yes, it was a full refund. I actually had a tech support agent walk through it with me. It's an "enginering issue" I've been told. The contract isn't showing when I view your profile. However, I'm still going to check with the team about your support ticket and the issue you reported. Additionally, if the message where the client threatened to give negative feedback wasn't sent on Upwork, could you please send a screenshot via the ticket as well? 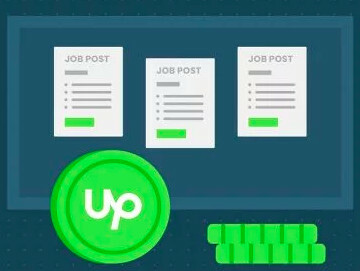 If the message is in Upwork Messages, you can also flag it as inappropriate In either case, the team will review and take appropriate actions.